Love this little stand, especially for use in the kitchen to follow recipes. Adjusts easily. I was very pleasantly surprised at the quality of this tablet stand. It's sturdy and a good weight - heavier than I expected which is great because it gives it just the right amount of weight needed to support a tablet without falling over! I might have to get myself a second one because I initially purchased this for my home office desk but it also looks great on my media console next to my TV to use to stream music/videos from my iPad to the TV/audio system. I think it would look great anywhere in the home. 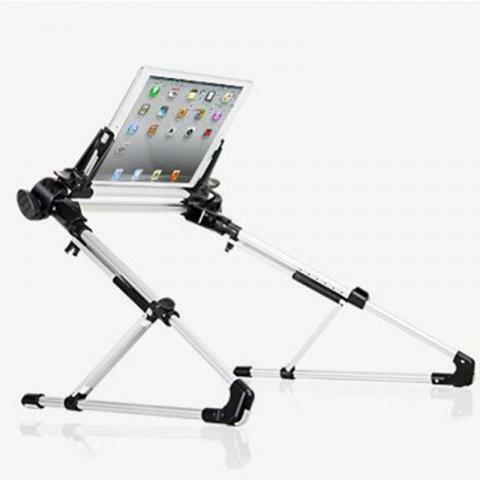 It allows you to tilt the tablet in any direction and be adjusted to the perfect angle. 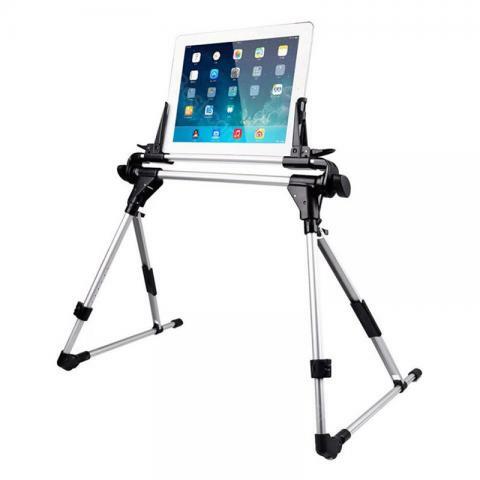 The Collapsible Aluminum Tablet Stand can be used with most tablet PC and Phone which is less than 9.7 inches. It is perfect for bad or Sofa. 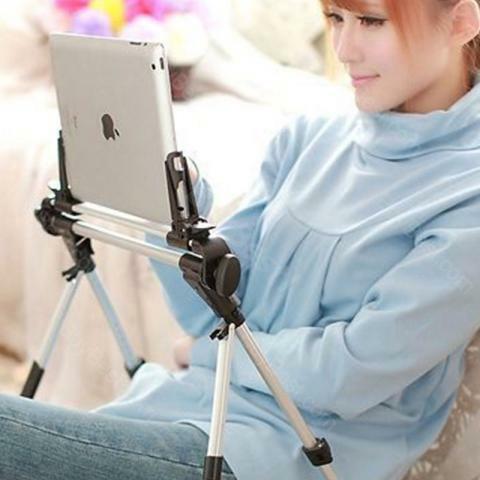 • Applicable to all tablet PCs and smartphones under 9.7 inches. • User-friendly design, fashion, can be a good protection of your cervical spine. 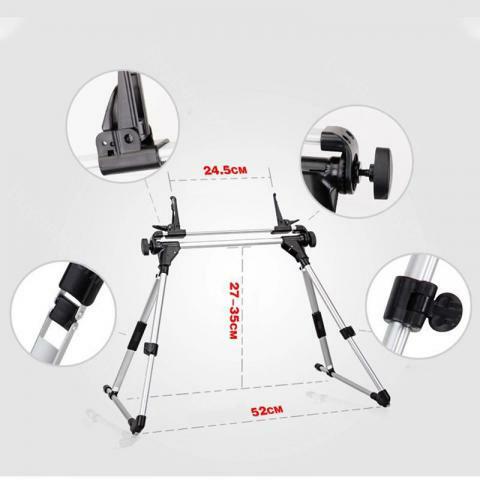 • The height and view angle can be easily adjusted to fit different situations. 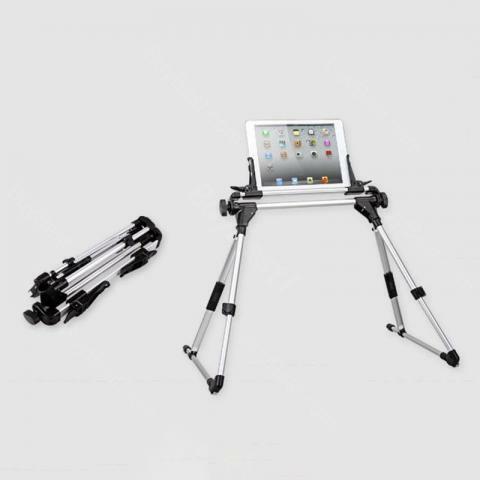 • Solid Structure, made by aluminium alloy and premium plastic, hold your device firm and gentle from abrasion or drop. • Lightweight and small size, suitable to be put into backpack and taken around conveniently. 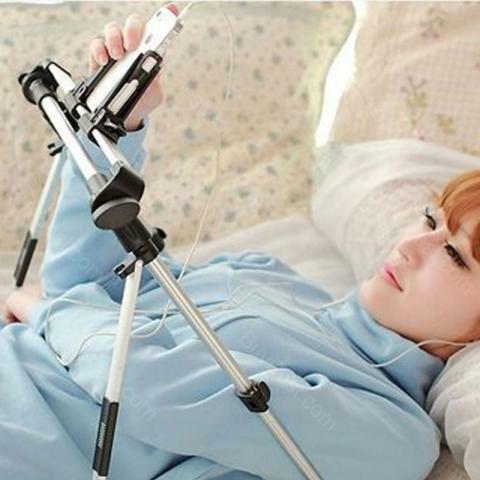 • Can be put up and taken down in seconds, you can lying in bed, sitting on floor, going outdoor to use it.